Bludel Technologies is pleased to announce that FogSecure™ will be exhibited at Securex West Africa this year, to be held at Eko Hotel, Lagos, March 24th – 25th 2015. Our purpose built stand will feature live demonstration of our solutions including our ATM Security, Mobile App, FogSecure RMS and many more exciting solutions designed to protect Nigerian businesses and homes against intruder attacks. 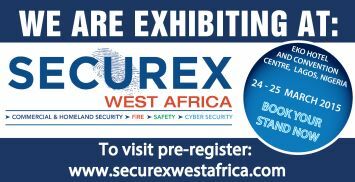 To find out more information about Securex West Africa, including how to register your attendance, visit their web site at www.securexwestafrica.com.